Do you have early chapter book readers in your house? If so, they probably are fans of Judy Moody and Stink. I love this series as it appeals to both the girls and boys! 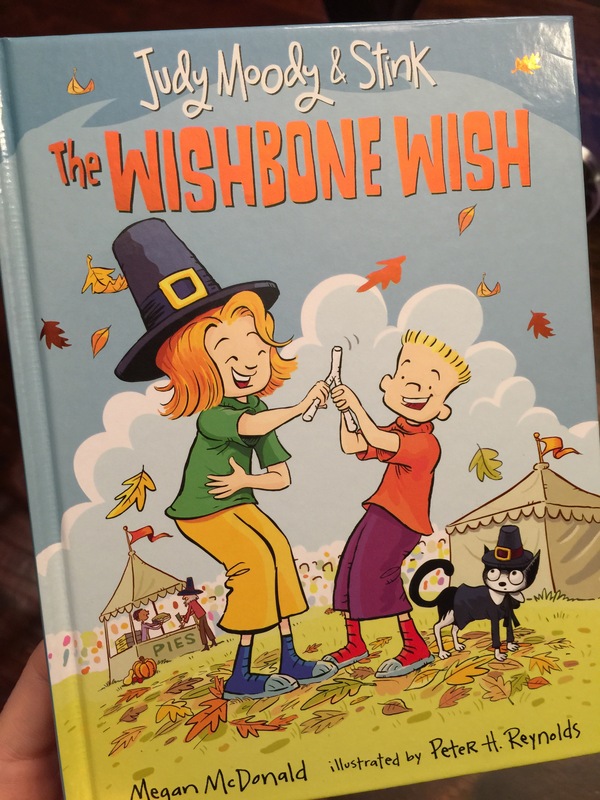 My 7 year old is in 2nd grade and just read the latest brand new Judy Moody and Stink book themed out for Thanksgiving title, The Wishbone Wish. It was a very cute story that he loved – and it was able to keep his attention! To carry out the reading, writing, and love of Judy and Stink even more, you can download these Free Judy Moody and Stink Printables! We love Judy Moody and Stink. This Thanksgiving card is very cute and I especially love the gratitude worksheet for our early readers to get them WRITING! 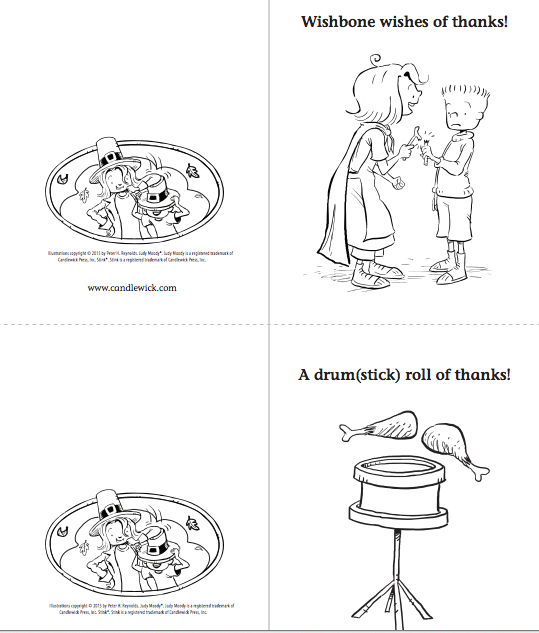 Very cute activity for kids reading the Wishbone Wish or just to celebrate Thanksgiving with a worksheet that features some of their fave characters like Judy Moody and her brother Stink. You can download and PRINT the entire Free Judy Moody and Stink Printables PDF of activities on this link below. I’ve attached a few images but to print clearly you’ll need to download the PDF. There is also a list of ideas to collect food to donate to your local Food Bank or Pantry, printable race bibs and more included. The town’s annual Turkey Trot race and festival is coming up, and Judy and Stink are training to win. Judy has decided that she is going to take home the big prize: a fat, juicy turkey. They can taste it already: the moist turkey, the hot gravy, the savory stuffing, the cranberry sauce! Beep! Beep! Beep! That’s the sound of Stink’s Rapidfire Ultra XE611M25 stopwatch going off as Judy and Stink hop, crawl, and climb toward race day. But what if they don’t win a mouthwatering bird? What then? Flying turkey gizzards! Will the Moody family end up starving on T-day, like ye Pilgrims of olde, or will Grandma Lou cook up a tasty Franksgiving solution? Note: Thanks to Candlewick for sending us this book to facilitate our feature. All thoughts and opinions are our own.